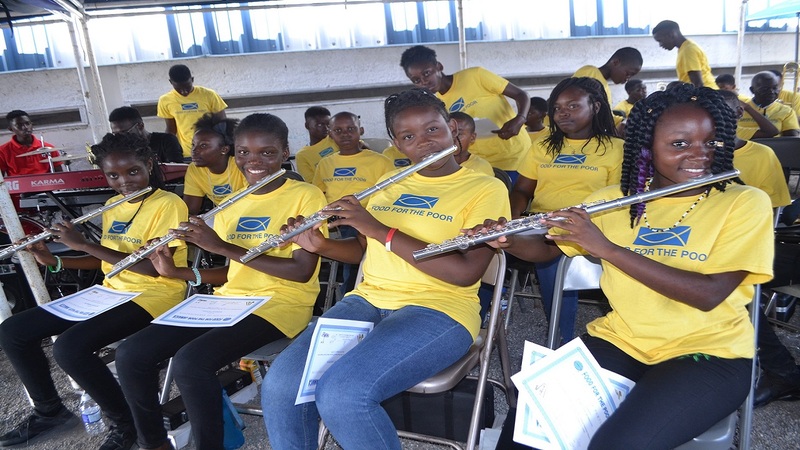 At the end of 16 days training which concluded on August 15, a graduation ceremony was held at which the 60 graduates were awarded the musical instruments that they learnt to play at the camp. 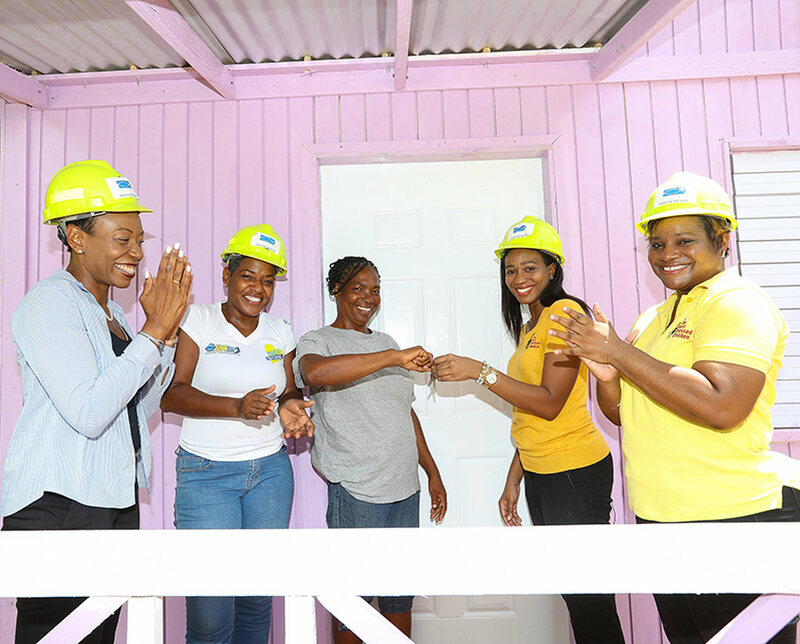 Food For The Poor (FFP)-Jamaica’s Summer Band Camp has achieved tremendous growth since the initiative was launched in 2004. 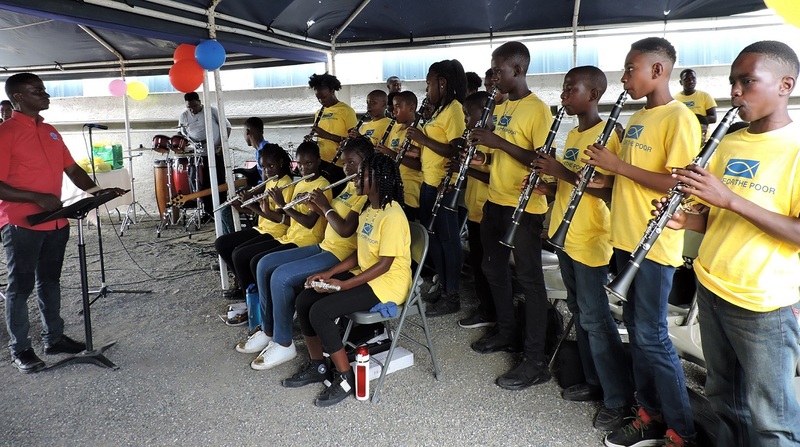 This year the camp has trained 60 students to play a variety of musical instruments including drums, saxophones, flutes, trumpets, clarinets and trombones. Executive Director, FFP-Jamaica David Mair, in his opening remarks at the ceremony held last Wednesday, commented on the transforming power of music. “Every year, we are amazed at the remarkable talent just waiting to be unearthed in the students of the band camp. Every year, they come in as musical novices and leave as budding musicians. Every year, they start out as ‘noisy’ but graduate as a beautiful symphony. This, ladies and gentlemen, shows the transforming power of music!” exclaimed Mair. He went on to commend the students on their willingness to learn to play instruments that were new to many of them. Over the 16-day period the students were offered one-on-one training by Jeffery Brown who Mair acknowledged in his remarks. Mair also expressed gratitude to the other instructors and the Prison Ministry Department for the successful execution of this year’s project. Prison Ministry Administrator, FFP-Jamaica Sandra Ramsey gave an overview of where the camp started and how much it has grown. “The campers are here for only 16 days. The last Saturday of each month, we have camp day for rehearsal and further practice. In other words, we don’t just teach them for the summer and send them away with the instruments. They have to come back on Saturdays to continue with their music. To demonstrate that we consistently assist our students, this summer, we entered some of the seniors from the band camp in the JCDC music festival and we won three gold medals, five silver medals and one bronze. They also won the prize for the best drummer; the best instrumentalist soloist and Jeffery Brown received an award for the best instrumental tutor,” she continued. The significant contributions made by donors and partners did not go unnoticed. “Without our donors and partners, this annual initiative would not be possible and so we salute our many partners for their contribution and look forward to your continued support! I am of the understanding that this year the St. Catherine Parish Council has donated trophies, which will be presented during the ceremony. We appreciate this gesture!” expressed Mair. 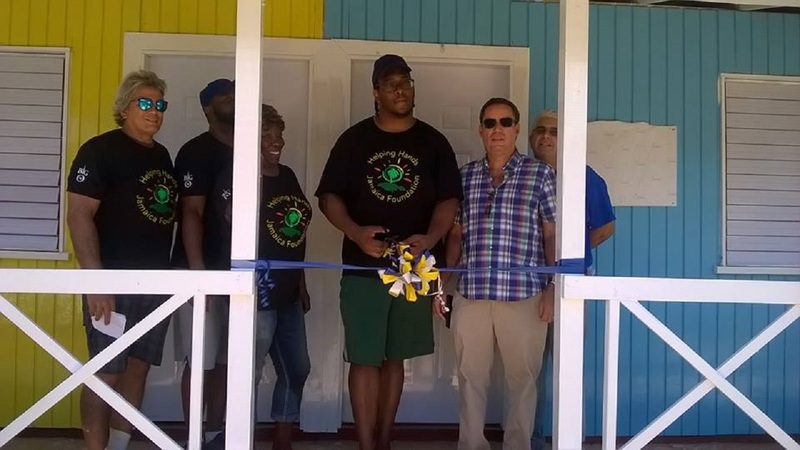 Councillor Norman Scott, Mayor of Spanish Town, was overwhelmed by how much the students were able to accomplish in just 16 days. Mair, in his closing remarks, uttered kind words to the students as he encouraged them to continue their pursuit of music and aim to perfect their musical skills.